Verisign (the administrator of the .com and .net TLDs) has released their latest quarterly Domain Name Industry Brief covering the 4th quarter of 2018. The report said total domain name registrations across all top-level domains (not just those Verisign operates) reached a record high of 348.7 million at the end of 4Q-2018. That is a rise of approximately 16.3 million domain registrations (or 4.9%) over the same point one year earlier. registrations at the end of 4Q-2017 to 14.0 million at the end of 4Q-2018. Even so, .net remains a solid #2 in global TLD registrations and #4 overall (trailing only .com and two ccTLDs - China's .cn and Germany's de). Total new gTLD domain name registrations were approximately 23.8 million at the end of 4Q-2018, an increase of approximately 3.2 million registrations name registrations year over year, representing a 15.5% increase. 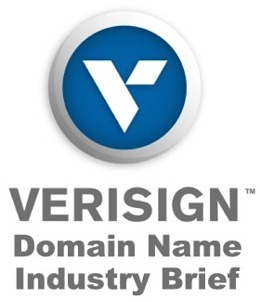 There is a treasure trove of additional information on all top level domain categories in the full Verisign brief, making it required readers for anyone with a stake in the latest industry registration trends. Copyright 2019 DNJournal.com - an Internet Edge, Inc. company.